The simple truths is websites that are not mobile-friendly kill sales. An increasing number of consumers are now using mobile devices to search, communicate, buy and get their entertainment fix. If you are still fence-sitting about a mobile website, you are likely missing out on higher traffic traffic and conversion. With fewer people able to access your website and missed opportunities for greater traffic, your business could suffer — in a big way. 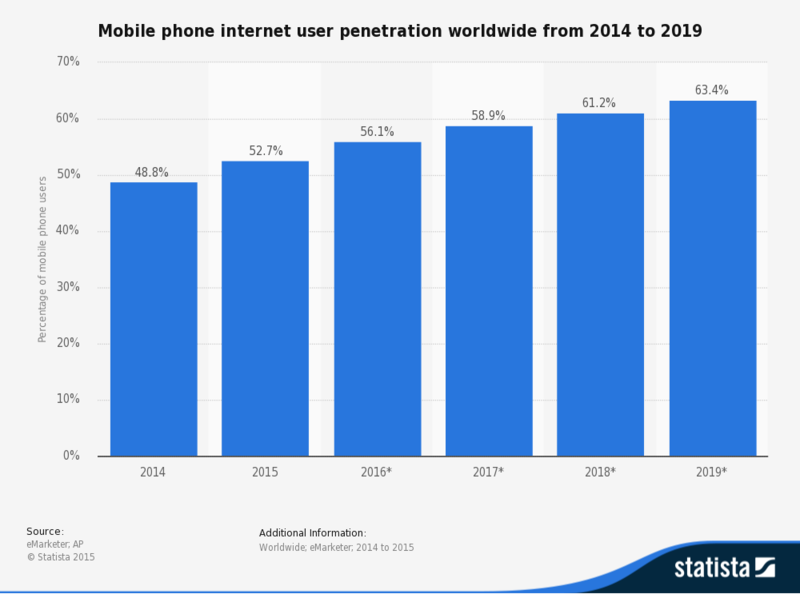 Data from Statista shows that global mobile phone Internet use, worldwide, was at 52.7% in 2015. In 2017, that figure is set to go up to 63.4%. Australians are increasingly mobile, too. Twenty-one percent of adults use only mobile devices to access the Internet, 28% no longer rely on connected phone lines and 12% exclusively use mobile phones. Apart from data nudging businesses to include mobility into their SEO plans, one of Google’s algorithms also makes a compelling case for mobile-friendliness. Google started ranking mobile websites last year and launched a second version of the algorithm earlier this year. Google recently updated its indexing by splitting mobile and desktop — this means mobile will get its own version of search results. The updated algorithm helps the search engine serve mobile users better, whether they look up content for information or need to buy a product. For businesses, the algorithm boosts ranking factor and improves online visibility. Now you know the ‘why’, what about the ‘how’? If you are just getting started, Google’s Webmaster guidelines offer recommendations on how to optimise for mobile devices. 1. Improve Your Website’s Page Speed. Slow-loading pages will make you lose valuable traffic. Lose valuable traffic and you lose potential sales and this will result in a decrease in your number of customers. Research from the Aberdeen Group indicates that even just one second of a delay leads to an 11% drop in page views, a 7% loss of conversion and a 16% dip in customer satisfaction. E-consultancy reports that 47% of consumers wait no longer than two seconds for a web page to load. Apart from user experience, Google’s mobile algorithm also uses page speed as one of the signals to rank websites. If your web pages are slow, the search engine will crawl a decreased number of pages. Fewer pages crawled could, in turn, affect your indexation. Reduce redirects – For every redirect, your pages load at a slower rate and your website visitor waits for a longer period of time. Reduce your image sizes – Images on the mobile version of your website should be compressed and in the right format to avoid slow loading time and maintain image quality when they load on different devices. Optimise server response time – Server congestion occurs with slow routing and lack of adequate memory, among others. Fix your server response time and speed up web pages. Too many elements, like excessive columns, in your mobile website design will have a negative impact on user experience. Distractions lead to a high bounce rate and thereby kill conversions. Mobile users want to do what they need to do on your website — without the distractions. The best way to eliminate unnecessary elements is to use responsive design. 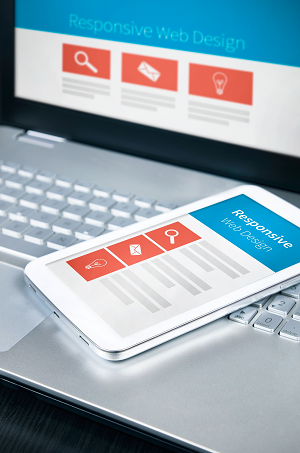 Responsive design allows your website to resize as the device screen changes. Another distraction to eliminate is the pop-up. Pop-up tools are hard to close on mobile devices, which can become a source of frustration for users. You can disable the pop-up feature for mobile users, or you can use lead magnets. By giving your visitors the option to click through lead magnets, you still capture information without affecting the user experience. Your mobile website needs to have all the right elements, so your users can easily navigate it. Google research indicates that 78% of mobile users still need the search button to access information, 69% prefer big, finger-friendly buttons and 48% click on social media buttons from websites. You should also look into how touchscreen and non-touchscreen mobile devices affect user experience on your website. While most mobile devices have a touchscreen interface, some users still have non-touchscreen devices. A non-touchscreen device can make it difficult for a user to fill out forms or sign up on your website because of buttons that are more difficult to manipulate. Quality, relevant content is still a big part of effective SEO for your mobile website. But consider that your mobile audience may differ from your desktop audience. According to Neuro-Insight, mobile users respond to triggers, as opposed to brand-building strategies. In other words, this specific audience responds to subtlety and not outright promotion. Your business would therefore do well to create relevant and emotional messages in order to improve engagement. Overall, the goal here is to create long-term connections with your target audience, with the use of neuroscience. Design. Usability. Creativity. Content. The best mobile websites will have all four – and more. SEO Services Australia ensures that your mobile website design will have all the essential elements to attract and engage your mobile audience. Our SEO services combined with our website development will help you capitalise on the increasing power of the mobile platform. Give us a call today and we will help you begin your journey to bigger, better profits for your business, through your mobile website.